For those who suffer from a chronic physical or mental health condition, life can feel lonely. Social support may be hard to come by, as your daily struggles may not be completely understood by friends and loved ones. But an app called ReachOut may help those dealing with issues such as cancer, diabetes, heart disease, PTSD, mental illness, or substance abuse find a circle of people who truly understand. After creating an account, users choose what challenges they are facing. From there, users can browse through a collection of conversations from others who are facing similar challenges. During times in which health issues seem unrelenting, a social network of people who are understanding and supportive is vital. That’s why ReachOut, as its name implies, lets users reach out to others to offer support. Those in need of support can share their own story and hear stories from others who are walking the same road. If a thread or person is particularly helpful, users can save them to revisit later. 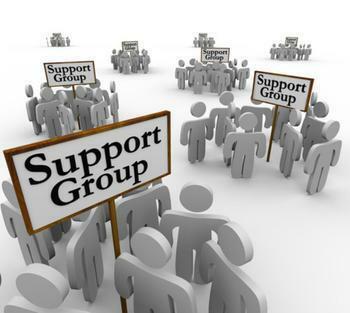 The ability to access support groups via an app may be beneficial to those who are unable to leave the house, as well as those who may not be quite ready for an in-person support group. ReachOut can be downloaded for free on iTunes or GooglePlay. Stress, anxiety, and depression are common, especially among older adults. Online support groups can often play a big role in helping anxious or depressed people feel less isolated. Pacifica is an app that combines cognitive behavioral therapy with relaxation and wellness techniques to help individuals break the cycle of their anxiety. Similar to ReachOut, Pacifica lets users connect and chat with with others who are dealing with similar issues. Users can scroll through “communities” (insomnia, work stress, and relationships, to name a few) and find others who can relate to their struggles. Pacifica is available on the web, as well as for iPhone or Android.